If you’ve ever referred to your pooch as a “fur baby” or bought them more luxuries than you’d buy for yourself, then you may be a doting pup parent—and proud of it! Many young people have adopted this trend of having fur babies, especially millennials who feel that caring for a pet in need may be a small but important way of giving back to the world. With this new generation of loving pet parents comes the rise of products and goods tailored towards giving dogs the best array of food, accessories, and toys–particularly those that promote good health for dogs. Studies found that this has led to a boom in gourmet pet food. Some of these food items even rival the quality of human food. 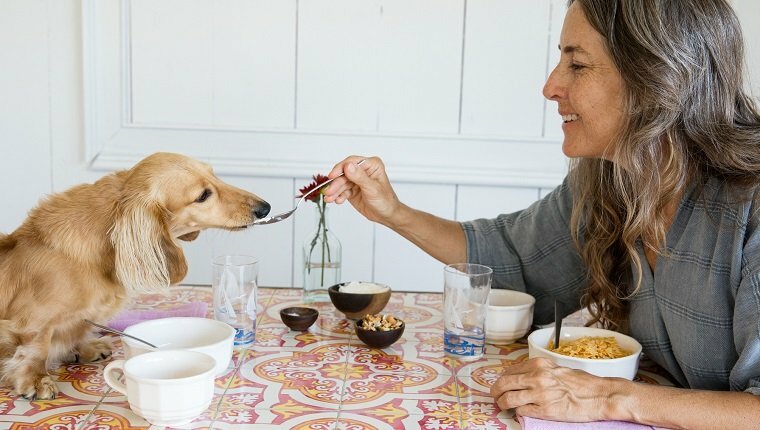 Of course, that means that traditional, cheaper dog food manufacturers are losing out on profits as brands focused on quality ingredients win over customers who won’t settle when it comes to caring for their fur babies. The millennial generation is increasingly focused on providing the best for their dogs. In fact, many young people take their dogs’ needs into consideration when looking to buy a home even more so than plans for future children and marriage. That said, it’s not just millennials who care for their pups. New information and studies on dog nutrition have also contributed to pet owners of every generation taking a greater interest in what goes into doggy diets. These factors have paved the way to the rise of gourmet pet foods, which are high-quality foods that looks closer to human foods than traditional kibble. “One of the main things that we’ve seen in the past five-plus years is that the parents, the shoppers, of the pets, they’re looking at pet food in the very same way they’re looking at the food they buy for themselves,” Clarkston Consulting principal consultant Steve Rogers said in an interview. Human-grade food includes ingredients that would normally be seen in human food items, including cranberries, apples, and even kale. Most gourmet pet food manufacturers tend to get inspiration for recipes from human meals. More pet food brands entered the market in recent years. Options have ballooned, increasing to as many as 4,500 different brands to choose from. Perhaps the brands that feel the heat of competition most are cheaper, more affordable pet foods that skimp on quality. Collectively, American pet owners spent up to $69.5 billion on pets in 2017, and that amount keeps going up. This suggests that the trend won’t be temporary as people start to make more informed decisions about their dogs’ diets. While not everyone may support the gourmet pet food industry, pet food manufacturers would be wise to take a lesson from this trend. Whether one is a millennial or not, pup parents share the sentiment of wanting the best for their pooches. It enhances the drive of doing right by our pets who show us unconditional love. Are you one of the pup parents who have bought a gourmet meal or two for your pooch? Then share your thoughts on this new trend in the comments below!